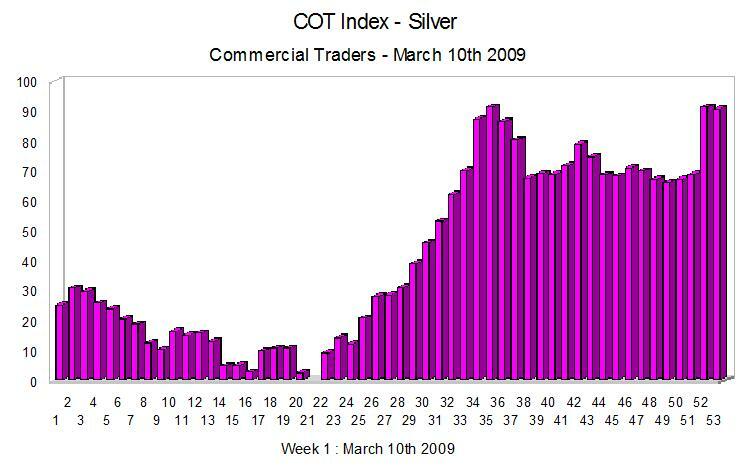 The COT index for silver show little change on last week, with a small change in the contract positions as as result of the decline in the spot silver price last week. Unless this decline continues for the next few weeks, then I would suggest that this is only a temporary reversal in the longer term bullish move in spot silver prices, which have mirrored the rise in the gold market. In my view we still have along way to go for silver before reaching a major top reversal, and until the COT index starts to register at one of the extremes ( either 5-10, or 90 – 95 ) then the trend in the chart will remain in place. All the latest economic data is now available live on the economic calendar, along with the latest spot gold prices, spot silver price, and the daily oil price.